YouTube has been a favorite social media channel across all ages and walks of life because of the many interesting videos uploaded in there. 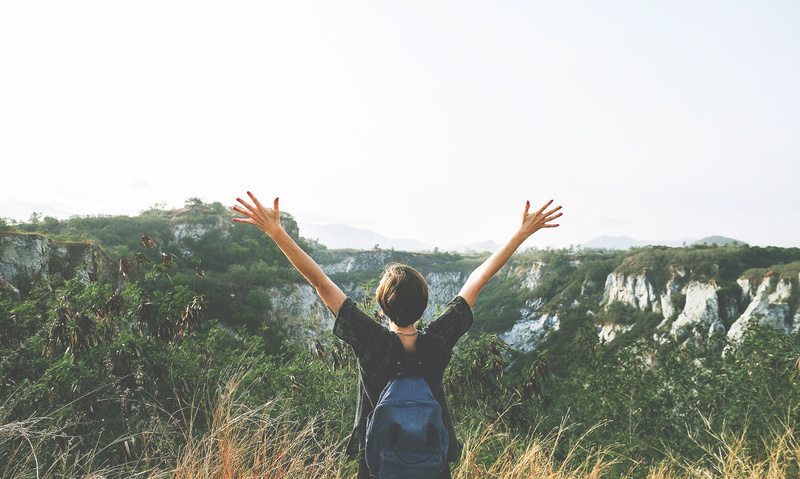 From travel videos, cooking demonstrations, to grooming, YouTube is the go-to portal for both entertainment and learning. However engaging it may be to watch videos on YouTube, it can be quite costly though if you are using data instead of WiFi. A one gigabyte data allocation can last you an hour’s worth of videos or an episode of your favorite drama series. But now, there is an economical solution to it. 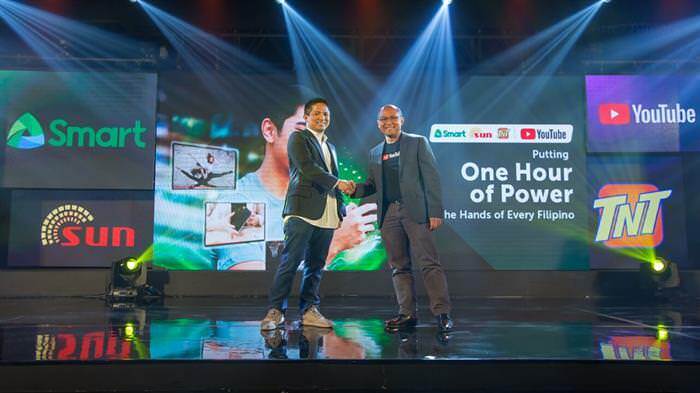 It’s a good thing Smart Communications recently launched a promo that gives prepaid subscribers up to an hour of streaming per day with one gigabyte of data for YouTube. The promo is a partnership between the two media and telecommunications giants. All Smart, TNT, and Sun prepaid subscribers who register to select prepaid promos will automatically get the free data. 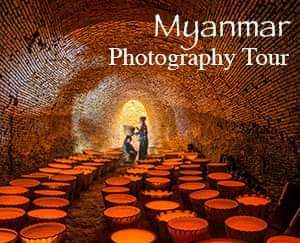 The promo began last April 17 and will run until July 15, 2018. That means being able to watch your favorite show on YouTube throughout the duration of the promo. "With this new offer, mobile phone users now have everyday access to the richest video library with content from every corner of the planet—for free,” Reyes also added. He further stated that this special promo will soon be available to all postpaid subscribers, too. 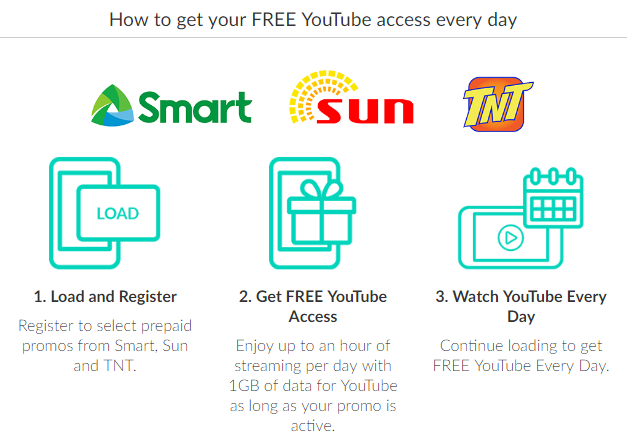 Smart subscribers who are registered to any Smart Prepaid promos worth Php20 and above are qualified for the free YouTube access. The same is true also for Sun Cellular subscribers: they need to register to any Sun Prepaid promo valued at P20 or more. For TNT subscribers to qualify, they must register to the GigaSurf 50, All Out Surf 30, Super Combo 20, Panalo Combo 30, and Panalo Data 30 TNT promos. “We are proud to partner with YouTube to bring the service closer to our customers. This is just the start of a fruitful partnership, and we are working on a lot of other exciting initiatives that will enhance the digital lifestyle of Filipinos,” Reyes concluded. I have not yet tried it but a friend told me that speed was decent but still dependent on the signal strength in one’s location. Of course, to be able to use YouTube, you have to have a smartphone where you can have the application installed. Installing YouTube is free from the Google Play Store or the Apple AppStore but you have to be registered to be able to download and install the application.